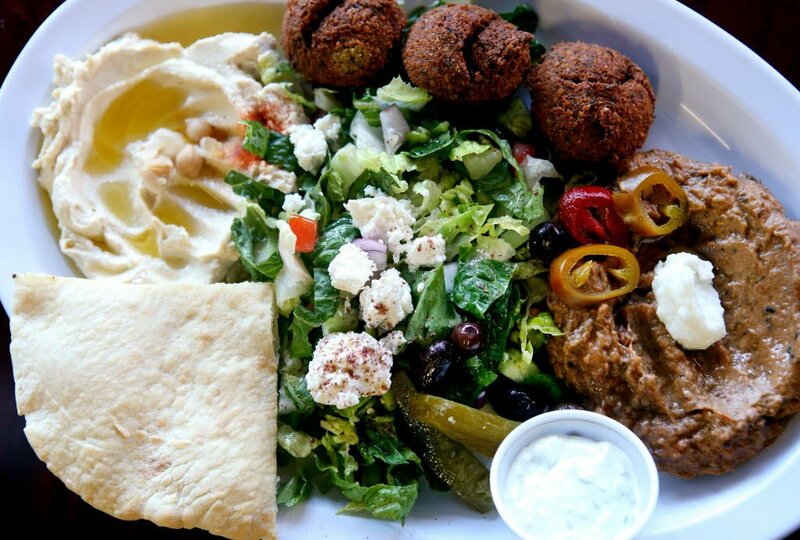 The vegetarian combo plate, $8, comes with falafel, two salads and pita bread at Za'atar Mediterranean Restaurant. The government may be closed, but Tucson's food scene is open business! These bars and restaurants are offering free and discounted food and drinks to federal employees affected by the government shutdown. The buffet is offered from 11 a.m. to 3 p.m. daily. The restaurant will continue the offer until the shutdown ends. Za'atar is offering free meals to federal employees. "We thank you for your services," the restaurant said on Facebook. Show your government ID at Pastiche, 3025 N. Campbell Avenue, and get a free Pastiche Burger or baked Mac n' Cheese and a non-alcoholic drink on the house. Federal employees who show a government ID can get 50 percent off draft beer and wine at the Good Oak Bar, 316 E. Congress St. Currently, they plan to offer the free drip coffee until the shutdown ends.